The Magna Carta is one of the most well-known documents in English History. It was not meant to be a lasting declaration of legal principle but was a practical solution to a political crisis which served the interests of the Barons of the time by reasserting the power of custom to limit the tyrannical behaviour of King John. The document was written on parchment, the normal writing material at the time. It was authenticated with the Great Seal of King John. Three of the four surviving copies of the Magna Carta have lost their wax seals over the centuries. It was sealed on 15th June 1215 under oath by King John at Runnymede on the bank of the River Thames near Windsor. 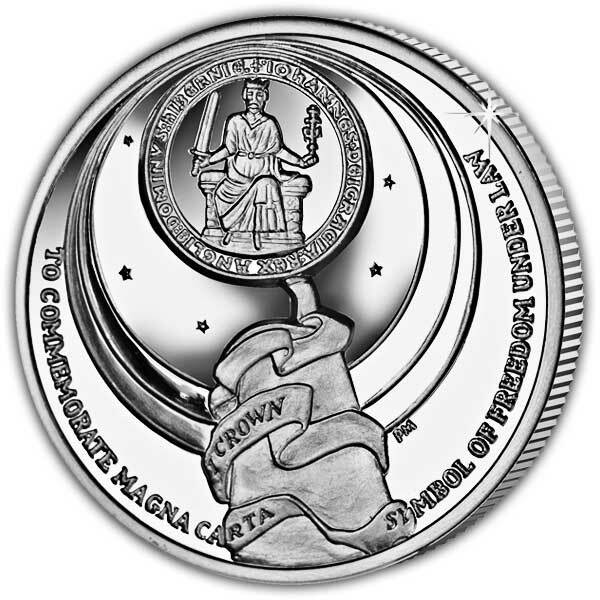 The design on the coin is based on the domed memorial at Runnymede in England which contains a pillar of English granite upon which is inscribed ‘To commemorate the Magna Carta, symbol of Freedom under Law. The domed roof showing the stars can be seen with the central pillar leading down. King John’s original seal with shown within the roof with a ribbon curling down the pillar. 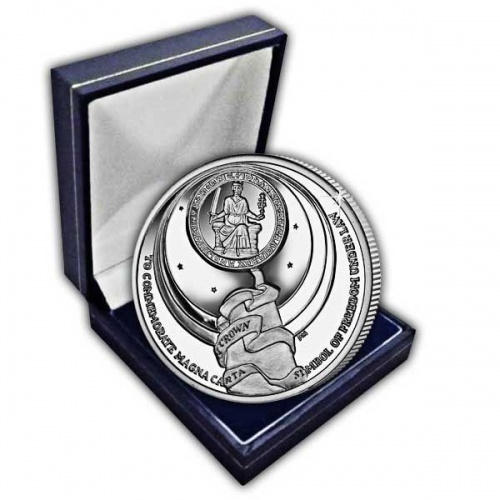 The coin is available here in Cupro Nickel and also in Proof Sterling Silver. The coin has been produced as a partially dished coin to replicate the domed roof of the memorial. 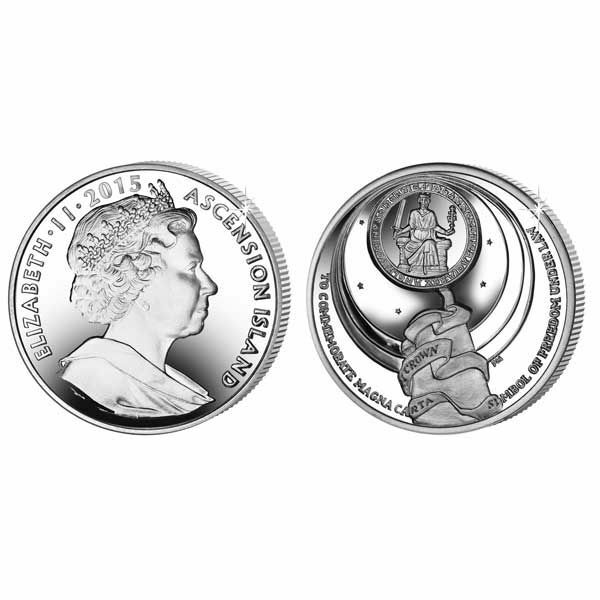 The obverse of the coin features an effigy of Her Majesty Queen Elizabeth II by Ian Rank-Broadley FRBS.